St. Brigid's feast nears the mid-winter mark. A perfect meal for these still cold (but growing in light) winter days is stew, and a beef & Guinness stew is a great one for the Irish saint(s). It is a variation on a Beef and Guinness Stew recipe posted by Jessica several years ago. Puffed pastry makes a flaky and delicious topping which ups the cozy quotient as it nestles the steamy stew beneath its layers. Add flour, salt, and pepper (to taste) to a large plastic bag, add beef chunks and shake to coat. Heat oil in large pot. Brown meat in batches and remove to separate container. Add onion, celery, carrots, garlic and water to pot. Cook vegetable s until tender, stirring occasionally. Add tomato paste and stir. Return beef to pot along with broth, beer, worcestershire sauce, and seasoning. Cover and cook 1-2 hours. Allow stew to cool. Divide cooled stew between four 16 oz ramekins. Roll out puff pastry large enough to cover two dishes. Cut into equal squares. Lightly bright a 1-inch border around each square with a beaten egg. Invert pastry onto filled ramekins, pressing puff pastry sides to dish. Brush top sides of pastry with lightly with beaten egg. Warm spiced wine, like the Austrian Gluhwein, along with Wassail or Lambs Wool are common traditional drinks served at Twelfth Night celebrations. 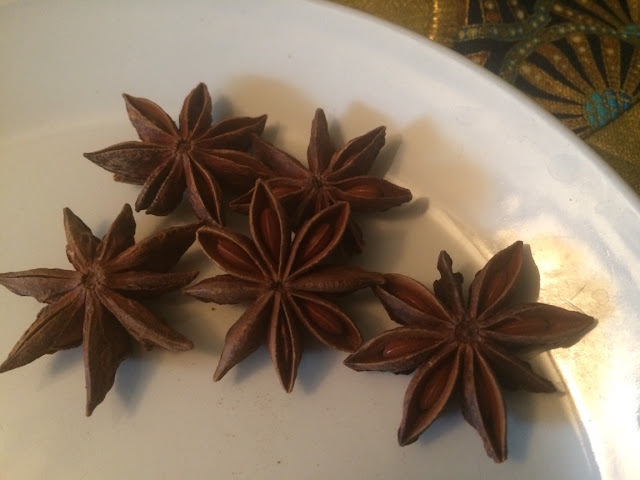 Anise is both a spice that can be used for seasoning a mulled wine (or other drink), as well as a symbolic star garnish to add visual appeal. Combine the water, sugar, cinnamon, star anise, and cloves in sauce pan. Bring to a boil while stirring constantly, then reduce heat to simmer. Cut the orange in half and squeeze the juice into pan. Add orange rind. Cook until the mixture starts to thicken like syrup. Pour in the wine and rum (if using) and stir, heating gradually until steaming. DO NOT BOIL. Remove oranges and serve in prewarmed mugs. Garnish with star anise. Your Light is Come: Closely linked to both these themes of divine manifestation and world kingship is a third idea running through the Epiphany feast: that of light. During Advent, the world was in darkness, and we prayed and waited in the spirit of the Jewish nation which lived in expectation of the Coming Light during thousands of years. At Christmas the Light shone forth, but dimly, seen only by a few around the crib: Mary and Joseph and the shepherds. But at Epiphany the Light bursts forth to all nations and the prophecy is fulfilled: "The Gentiles shall walk in Thy light, and kings in the brightness of Thy rising." The mysterious star of Epiphany, "flashing like a flame," is still another facet of the light-motif, a symbol capable of being interpreted in a dozen different ways. 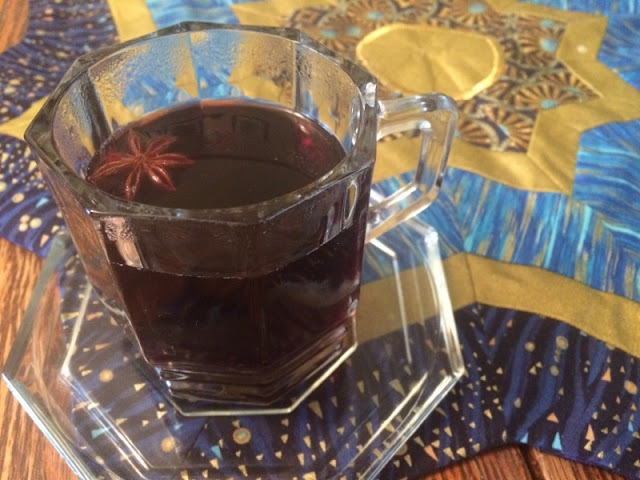 Catholic Culture article: "Meaning of Epiphany"
There are many lovely star anise garnished drinks and cocktails that would be fun to make for a Twelfth Night celebration. On Epiphany we recall the wise men that traveled from the East to seek the baby Jesus, following the star. It is a feast of manifestation, and the light of Christ shining forth. Star shaped foods can be a fun way to commemorate the feast of the Epiphany. These homemade toaster pastries are a breakfast option that incorporates both the star shape and some spices that represent the lands from which they journeyed. Cut butter into 1/2 inch squares and combine with flour. Coat the butter in flour. Combine 1/3 cup water, vinegar, and salt. Dissolve salt. Put both in freezer for 10 minutes. Blend the butter and flour mixture in mixing bowl on low speed until it is a crumbly texture. While still on low, slowly pour the liquid mixture into the bowl. When it comes together into a ball, stop mixer. Turn dough out onto the counter. Cut into two parts, wrap in wax paper, form a disk. Refrigerate for at least 2 hours (up to 3 days). Roll one disk of pie pastry on a lightly floured surface. Use a large star cookie cutter to cut out multiple star shapes. Lay each star on the prepared baking sheet. With a pastry brush, paint each star with the beaten egg. Scoop a spoonful of filling onto center of each star. To represent the spices associated with the East - where the wise men came from - I made a cinnamon, clove, and ginger sugar mixture with 2 T. melted butter (1/2 cup sugar, 2 T. cinnamon and a pinch of both cloves and ginger). Roll out the second disk of pie pastry and repeat steps to cut out additional stars. Lay these stars over the ones already on baking sheet. Seal edges by pressing a fork around the perimeter of each star. Use pastry brush to paint the tops of each pastry with egg wash and poke top layer through with fork.